Home » News » Carrauntoohil Trip. 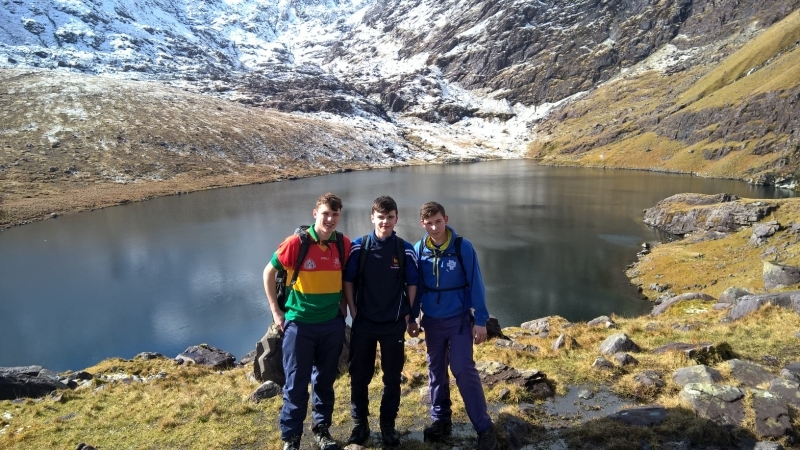 A group of hardy Leaving Certificate students reached the summit of Carrauntoohil last Saturday. The 1916 Proclamation was read aloud by the students at the top. 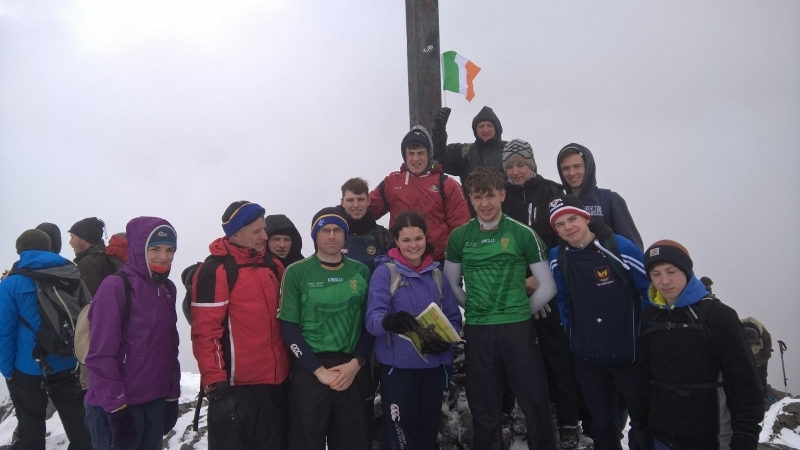 This was the 10 th time that a Leaving Cert group from the school had scaled Ireland's highest mountain. A big thank you to Mr. Godley and our guide John Lenihan.